Gain in-depth specialist knowledge of how to apply physics to understand the origins and evolution of the universe. Learn about the fundamental theoretical physics describing the intertwining of space, time, matter and energy. Topics covered include exoplanets, galaxies, cosmology, stars and stellar evolution, general relativity and high energy astrophysics. You’ll study physical systems under conditions that exceed anything we could conceivably create on Earth, such as extrasolar planets or the extreme end states of stellar evolution. You’ll learn how to assemble evidence from astronomy to build theoretical models of the cosmos. You’ll graduate with the knowledge and skills of an independent scientist, with sound mathematical and experimental expertise, and the ability to solve complex problems on your own. The Master of Physics (MPhys) degree gives you the opportunity to enhance and deepen your knowledge compared to BSc courses, particularly in topics at the forefront of research. You’ll study masters-level units and carry out a major research project, giving you ideal preparation for postgraduate study or a career in research. You'll be able to choose from a number of optional units in year 3. Here are some examples of the units our students are currently studying. As an MPhys student, you’ll be able to undertake a research placement in the final year of the course. You’ll spend six months (July to December) working in a research organisation of international standing, before returning to the University for the final semester. We have links with leading research organisations, including CERN, NTT Basic Research Laboratories (Japan), European Synchrotron Radiation Facility (France) and Rutherford Appleton Laboratory. 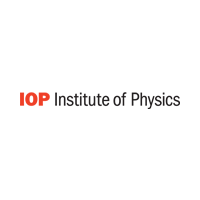 Study physics at Bath from University of Bath on Vimeo. Your application, especially your personal statement, should demonstrate your enthusiasm for studying physics. This might include relevant reading, voluntary or work experience, areas of interest from your current studies or other relevant extra-curricular and co-curricular activities. You will need a strong performance in both Mathematics and Physics as part of your entry qualifications. A*AA in three A levels including Mathematics and Physics with A* in Maths or Physics. We have a strong preference for applicants who offer Mathematics and Physics at Higher Level. We may be able to consider you if you are studying one of these subjects at Standard Level (but not both). Our offer in this instance would be 36 points overall with 7, 6, 5 in three Higher Level subjects including 6 in Mathematics or Physics plus 7 in Standard Level Mathematics or Physics. A pass in the Access to HE Diploma in Science or Science and Engineering, with at least 39 credits achieved at Distinction. This must include 12 credits achieved at Distinction from Mathematics units and 12 credits achieved at Distinction from Physics units. Our Physics courses are academically challenging and require solid foundations of knowledge in Mathematics and Physics. We are able to consider Access to HE Diplomas in Science or Engineering, and we are looking for you to be studying a suitable level of Mathematics and Physics to be able to succeed in our courses. You will need to have studied Mathematics units worth at least 12 credits (including Calculus) and Physics units worth at least 12 credits. However, due to the time-limited nature of Access programme delivery, it is expected that you will have also completed a significant level of independent study in order to further develop and refine these skills. Most recent successful applicants have studied a significant amount of Mathematics independently, or completed some of the Mathematics A level syllabus alongside their Access studies. Pass units worth 120 credits, including a minimum of Pass Grade 2 with 80% in both S112: Science: concepts and practice and a Level 2 Mathematics unit worth 30 credits. Typically, we would be looking for you to have studied units worth at least 120 credits including at least 30 credits at Level 2. We would ideally be looking for you to be taking units including S112: Science: concepts and practice, MST124: Essential Mathematics 1 and MST224: Mathematical Methods. his information is a guide and we consider students applying with Open University Credits on a case-by-case basis. We will consider your application carefully and take note of any previous qualifications or relevant work experience. We may be able to consider alternative units to those listed. Please contact us to discuss your profile. We will usually assess you based on your UCAS application. If you are studying certain qualifications, such as an Access to HE Diploma, you may be invited to attend an interview as part of our selection process so we can better assess your studies and experiences. If you are studying an Access to HE Diploma, please make sure that your UCAS application is submitted by 15th January 2019: if you apply after this deadline, then it may be too late for us to include you in our interview process. Very exceptionally we may invite you to an interview if you have circumstances we cannot assess from an application alone. This MPhys degree is covered by the UK Foreign & Commonwealth Office (FCO) Academic Technology Approval Scheme (ATAS). Unless you are a UK, EEA or Swiss national you will need an ATAS Certificate to join this course. Find out more about applying for an ATAS certificate.